John Wycliffe was an English scholastic philosopher, theologian, Biblical translator, reformer, and seminary professor at the University of Oxford. He was an influential dissident within the Roman Catholic priesthood during the 14th century. Wycliffe attacked the privileged status of the clergy, which was central to their powerful role in England. He then attacked the luxury and pomp of local parishes and their ceremonies. Wycliffe was also an advocate for translation of the Bible into the vernacular. He completed a translation directly from the Vulgate into Middle English in the year 1382, now known as Wycliffe’s Bible. It is probable that he personally translated the Gospels of Matthew, Mark, Luke, and John; and it is possible he translated the entire New Testament, while his associates translated the Old Testament. Wycliffe’s Bible appears to have been completed by 1384, additional updated versions being done by Wycliffe’s assistant John Purvey and others in 1388 and 1395. 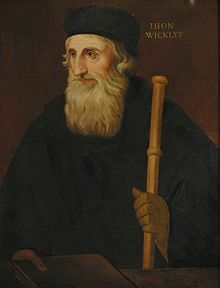 Wycliffe’s followers were known as Lollards and followed his lead in advocating predestination, iconoclasm, and the notion of caesaropapism, while attacking the veneration of saints, the sacraments, requiem masses, transubstantiation, monasticism, and the very existence of the Papacy. Beginning in the 16th century, the Lollard movement was regarded as the precursor to the Protestant Reformation. Wycliffe was accordingly characterised as the evening star of scholasticism and the morning star of the English Reformation. Wycliffe’s writings in Latin greatly influenced the philosophy and teaching of Czech reformer Jan Hus, whose execution in 1415 sparked a revolt and led to the Hussite Wars. He entered the politics of the day with his great work De civili dominio (“On Civil Dominion”). This called for the royal divestment of all church property. His ideas on lordship and church wealth caused his first official condemnation in 1377 by Pope Gregory XI, who censured 19 articles. Wycliffe argued that the Church had fallen into sin and that it ought therefore to give up all its property and that the clergy should live in complete poverty. The tendency of the high offices of state to be held by clerics was resented by many of the nobles. John of Gaunt, who had his own reasons for opposing the wealth and power of the clergy, possibly used a naive Wycliffe as his tool. Wycliffe had come to regard the scriptures as the only reliable guide to the truth about God, and maintained that all Christians should rely on the Bible rather than on the teachings of popes and clerics. He said that there was no scriptural justification for the papacy. Theologically, his preaching expressed a strong belief in predestination that enabled him to declare an “invisible church of the elect”, made up of those predestined to be saved, rather than in the “visible” Catholic Church. To Wycliffe, the Church was the totality of those who are predestined to blessedness. No one who is eternally lost has part in it. There is one universal Church, and outside of it there is no salvation. His first tracts and greater works of ecclesiastical-political content defended the privileges of the State. By 1379 in his De ecclesia (“On the Church”), Wycliffe clearly claimed the supremacy of the king over the priesthood. He rejected the concept of purgatory, and disapproved of clerical celibacy, pilgrimages, the selling of indulgences and praying to saints. In the 1380 Objections to Friars, he calls monks the pests of society, enemies of religion, and patrons and promoters of every crime. He directed his strongest criticism against the friars, whose preaching he considered neither scriptural nor sincere, but motivated by “temporal gain”. 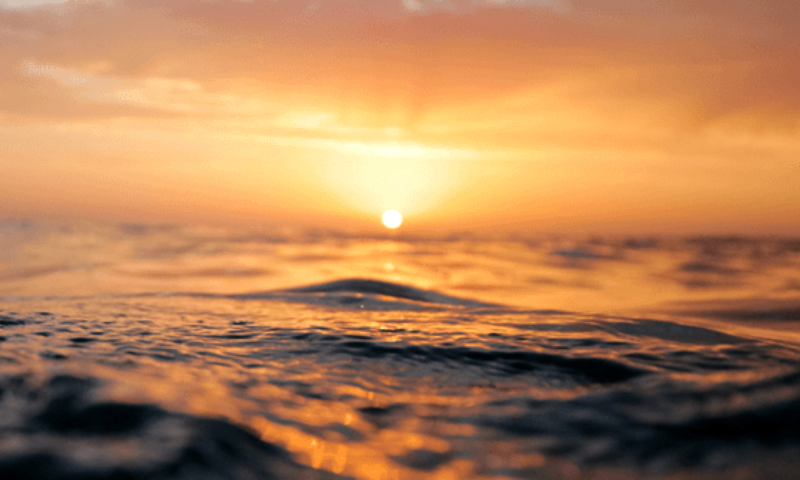 While others were content to seek the reform of particular errors and abuses, Wycliffe sought nothing less than the extinction of the institution itself, as being repugnant to scripture, and inconsistent with the order and prosperity of the Church. He advocated the dissolution of the monasteries. The books and tracts of Wycliffe’s last six years include continual attacks upon the papacy and the entire hierarchy of his times. Each year they focus more and more, and at the last, the pope and the Antichrist seem to him practically equivalent concepts. In keeping with Wycliffe’s belief that scripture was the only authoritative reliable guide to the truth about God, he became involved in efforts to translate the Bible into English. For this reason the Wycliffites in England were often designated by their opponents as “Bible men”. Wycliffe was instrumental in the development of a translation of the Bible in English, thus making it accessible to laypeople. He also had a strong influence on Jan Hus.